When you shop for a home, you may not have a garage as a must-have feature. However, when you end up buying a home that does not have a garage or even a carport, you should think of a temporary solution to protect your vehicle from becoming damaged and having its value reduced. A portable garage is an excellent way to accomplish this goal, at least until you find a more permanent solution. When your car is exposed to direct sunlight for a long period of time, the surface will oxidize, which can turn a beautiful paint job into an ugly one. It is easy to prevent this kind of problem from happening with a portable garage, which does not have to be anything fancy to keep the sunlight away. A car that is parked directly in the sun will likely be uncomfortable when you get inside. 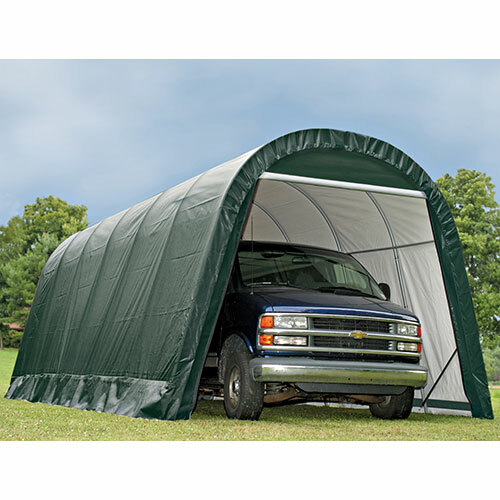 However, keeping it covered in a portable garage will provide you with a more comfortable driving experience. Although you may find that a portable garage can be effective for a fairly long time, you should come up with a more reliable long-term solution, such as buying and installing a carport in your driveway. If you want to take your method of protection even further, while also gaining ample storage space, you should think about constructing a garage. It requires that you have enough space on your property, but it is a highly effective option, especially for multiple cars as two-car garages are commonplace. Please contact us if you have any questions about our portable garage selection. This entry was posted in portable garage, portable garages and tagged portable garages on January 14, 2016 by Canopies Tarps. Moving to a new home or apartment can be an exciting stepping stone in one’s life journey. Sometimes the moving process can be marred though when a favorite piece of furniture incurs damage in the moving process. Often furniture needs to be temporarily stored in a storage rental unit or perhaps a friend or family member’s basement or garage until one is completely settled in their new abode. One of the best ways to protect your valuable furniture is through the use of tarps. A storage rental unit may have tiny leaks in the roof that could allow water or snow to get into your unit. They may also have small gaps in the walls that allow spiders or mice to infiltrate your unit in the hopes of making a cozy nest. Covering wood furniture pieces with tarps can help prevent warping and water stains in the case of roof leaks. Encasing furniture pieces like couches, mattresses, chairs, etc. with tarps can help prevent unwanted creatures from making a home out of your furniture. If you are able to move all your belongings in one trip, you will still find tarps are essential to the moving process. For those using a professional moving service, the movers will most likely come prepared to protect your furniture with their own tarps or protective coverings. For the do-it-yourself mover, investing in some tarps to protect your beautiful furniture can help prevent inadvertent scratches, dings and dents from occurring. For more information on how to use tarps to protect your belongings, please contact us. This entry was posted in Tarps and tagged tarp, tarps on January 14, 2016 by Canopies Tarps. 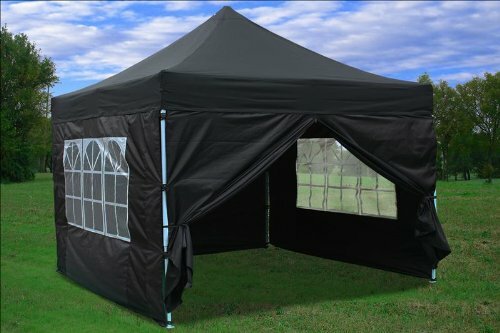 Not only do we sell dog kennels and crates, we also sell a variety of tarpaulins and canopies to help protect your four-legged family member (or members) from the elements. For summer, we sell mesh shade tarps, specifically designed for dog kennels. It is a great way to let your dog enjoy the fresh outside air, as well as prevent them from getting too hot in the sun. 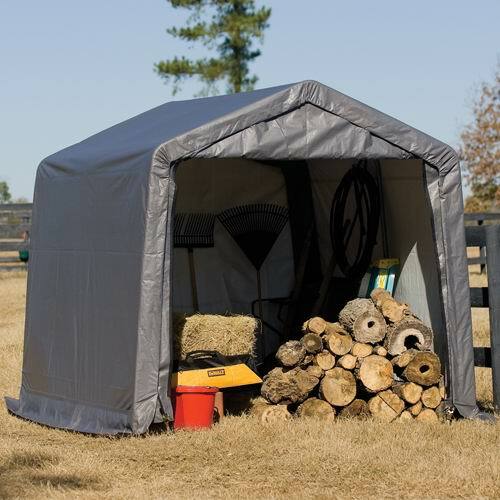 The shade tarps can reduce the temperature by up to 15 degrees F. They are designed to allow 25% of light through and they allow natural breezes to blow through the kennel. Heavy duty grommets are spaced every 12″ to allow for a secure attachment. 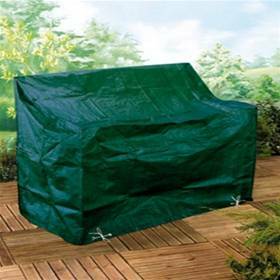 The mesh shade tarps come in a variety of colors so you can match your home’s exterior and landscaping. For winter, we have sloped roof canopies to allow rain, snow and ice to slide off. The canopies use all weather fabric and are gabled to keep the kennel area free of snow so your pet can play outside all year long without getting snow and ice in it’s paws. The kit comes with a center pole and the hardware for the peak. 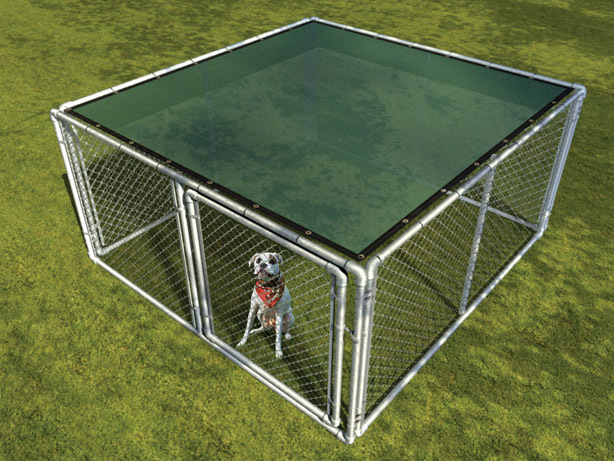 These canopies are designed to fit our 5’x5′, 5’x10′ and 5’x15′ dog kennels. 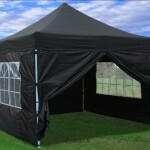 In addition to providing protection from cold and wet, the canopies also provide shade in the summer months. 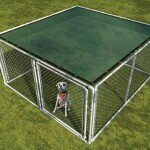 If you like to travel and play in the outdoors, there is the dog travel kennel. It is designed to fit in the back of an SUV or truck. The kennel is perfect for RVers who want to let their “best friend” have time outside but also protect them from outside dangers. It includes a tarp to also protect from the elements. It can also be used to bring your pet to public parks, beaches, camping, or anywhere else you like to play outside. 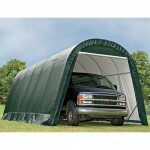 To see the largest selection of tarps and canopies online, please contact us. This entry was posted in dog kennels and tagged dog kennel cover, dog kennels on January 14, 2016 by Canopies Tarps. 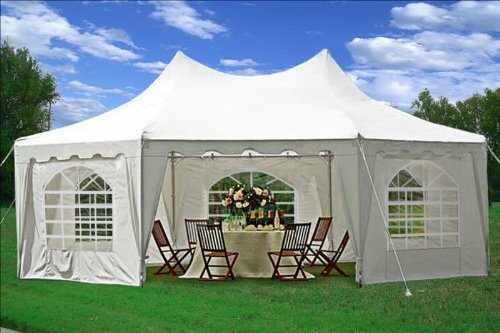 Do You Know How to Care for Canopy Top Replacement Zippers in the Winter? Do consider adding a lubricant that wont succumb to your regions winter weather. For some of us, that leaves the field wide open for items like olive oil and petroleum jelly. In other areas, it may be best to stick with crayons, candle wax and graphite. Theres also a brand name, dry lubricant to consider. Its calledSlide-Alland comes in a spray can. Youll generally find it where Elmers glue products are sold. 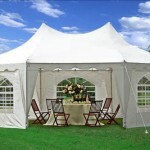 Dont forget that canopy top replacements may be purchased piecemeal. So if a zipper breaks on one of the panels this winter, simply replace it. Our waterproof panels come with backup, button snaps. As such, theyll keep the canopy area sealed even if the zipper continues to fail for unseen reasons. Do think about placing an approved heat source near the canopy or placing the structure in an area where it gets at least some sun. The sun and snow glare may just generate enough warmth to keep the canopy top panels zippers from freezing shut during the night. If you dont want to buy an approved heat source or relocate the structure, a few quick passes with a household blow-dryer may just work. To learn more about caring for the zippers and button snaps that are included with canopy top replacement panels, pleasecontact us. We have ready-made, zipper-clad panels for structures that range in size from 10 to 18 feet in length. This entry was posted in canopy replacement covers and tagged canopy replacement covers, canopy tops on January 14, 2016 by Canopies Tarps.